Do You Have What it Takes to Skydive? Have you ever thought about skydiving, but wondered if you have what it takes? We know that skydiving is a pretty daunting prospect for a lot of people. Of course, we think it’s the most natural thing in the world – but we do it every day! 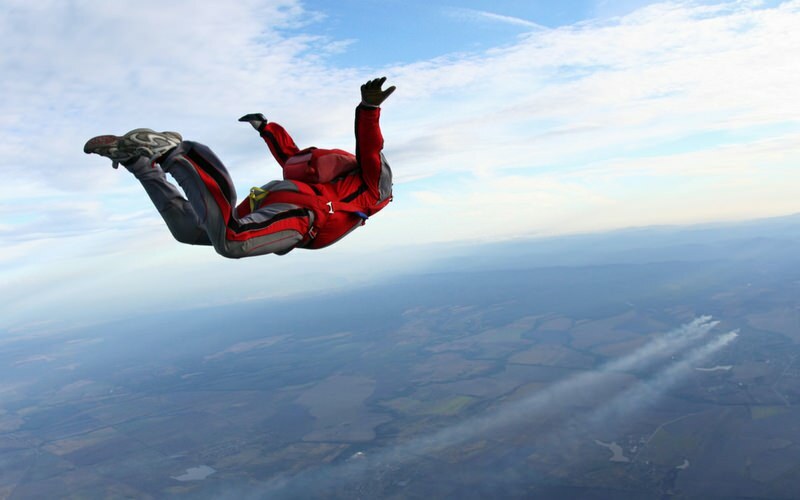 The reality is that most people can jump… here, we’ll explain what it takes to skydive. For most people, skydiving isn’t an everyday thing. In fact, it’s quite the opposite. No part of the skydiving experience is ‘normal’. From the ride in an unpressurized aircraft (where when it’s hot, we leave the door open for ventilation) to the unfamiliar equipment to the fact you’re freefalling in the open air, it’s a pretty unusual day out! When we’re faced with the unknown, it’s perfectly normal to feel worried, nervous or scared. Even the most seasoned jumper gets butterflies in their stomach before they exit. That means that it takes courage to skydive. It takes someone who recognizes their fear but who says “I’m doing it anyway!”. It takes the passion to try something new and the drive to see it through. Believe us, once you’ve done it, you’ll always look back on it with pride at your achievement. We jump out of airplane pretty much every day. Each of our friendly instructors has been trained and has practiced their craft over hundreds or thousands of jumps. We’re affiliated with the United States Parachute Association (USPA) and we adhere to their guidelines to ensure we stay as safe as possible within our sport. So we know that everyone who comes to jump with us can trust us. We know that we’ve invested in all we can to make that trust possible. But we also know that you’re essentially putting your life in our hands, and for that reason, reaching that point of trust takes a bit of a leap of faith. If you’re at all concerned about your jump, you’re more than welcome to contact us and speak to a member of our team. You’ll find them to be incredibly friendly, helpful and knowledgable. Or why not stop by in advance of your jump? You’ll see that this is what we do, and we do it extremely well. Your skydive is just that… it’s yours. It’s your experience, and whether you want to do it hundreds of times or just the once, it needs to be on your terms. And that means you need to be ready to jump. As we’ve already discussed, it takes courage to jump out of an airplane because it’s likely you’re overcoming your own challenges to get to that point. So it’s important that you’re feeling completely ready and confident in your ability to do that. How do you know you’re ready? Well, that’s a personal thing. If this is something you know you want to do, now’s as good a time as any! You won’t regret it either; skydiving gives you a whole new perspective on the world. It gives you the confidence to look up to the sky and know you’ve done something awesome. There’s really nothing you can’t do once you’ve made your jump. Are you ready to skydive? Book your skydive with Skydive Monroe today. What Are All The Costs Associated With Your First Skydive? Can You Skydive If You’re Afraid of Heights, Claustrophobic or You’re Plain Scared?